HÀ NỘI — Tax payers and businesses that are completing their dissolution procedures shouldn’t be allowed to postpone their late tax payments and charges for late tax payment. That’s the message from the National Assembly’s Financial and Budget Committee chairman Nguyễn Đức Hải yesterday. He also said those that no longer operate business at their registered addresses also have to pay charges for late tax payment. 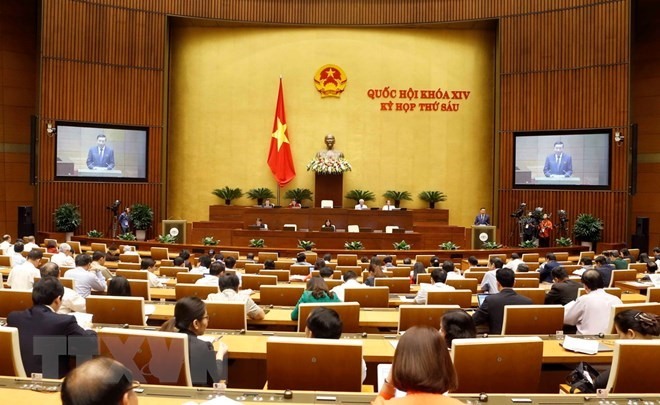 Hải made his comments on the draft law on tax management, which was discussed at the 14th NA sixth meeting and is expected to get approved in the seventh meeting next year. In addition, those that have owed land use and trade taxes for more than 10 years must also finish paying taxes. The suggestions of the committee were made to Government so it can revise the draft law before submitting it to the NA’s next meeting for approval. According to Hải, it should be adjusted to make sure there would be no tax losses for the State budget. According to the Minister of Finance Đinh Tiến Dũng, tax debt was nearly VNĐ83 trillion (US$3.7 billion) as of September-end, 42.1 per cent of which was irrecoverable tax. The amount of irrecoverable tax in the first nine months of the year rose 11 per cent compared to last year. Việt Nam’s percentage of late/irrecoverable tax over total income was 7.5 per cent, while the average percentage in ASEAN countries was 8.5 per cent and 9.2 per cent in OECD countries, Dũng told the NA on October 31. The rate has fallen from 7.6 per cent in 2017 and 8.5 per cent in 2016. However, the percentage of recoverable tax over domestic income has also dropped to 4.3 per cent in the first nine months from 4.4 per cent in 2017 and 5.6 per cent in 2016.